Edward H. Flitton III died March 26, 2010. Iam sorry to bear the sad news that the College’s President, Edward H. Flitton III, died suddenly last Friday night while in Chicago, attending meetings of the Executive Committee of the Law Practice Management Section, during the American Bar Association’s TECHSHOW. For all who knew Ed, it will be a small comfort to know that it followed a reportedly wonderful and congenial evening with friends. 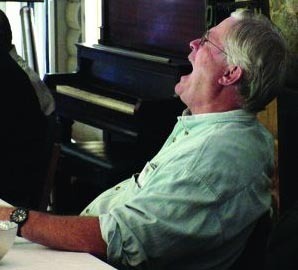 If you knew Ed at all, you’ll easily conjure the familiar image of him raising a glass of fine wine and tossing his head back in delighted laughter. Ed was Managing Partner of the Rocky Mountain regional law firm, Holland & Hart, for five years—a time during which the firm experienced remarkable growth and success – and retired from the firm at the end of 2006. Since that time, he has been busier than ever, guiding his firm through a strategic planning process, serving as Budget Officer for the ABA LPMS, serving as Trustee and then President of the College, writing a regular column “Taking the Lead” for Law Practice magazine and—his favorite vocation of all—grandpa to Lucca and Mimi. Ed is survived by his wife Karen, and their three daughters, Jennifer, Rebecca and Elizabeth. In addition, Ed and Karen have “parented” and continued lifelong relationships with young people from throughout the world through their long involvement with Foreign Exchange Student programs. The suddenness of Ed’s passing will leave scores of people, literally around the world, struggling to accept that he is gone. Please join us in thoughts and prayers for his family and close friends. Edward H. Flitton III, the President of the College of Law Practice Management, died in Chicago on Friday, March 26, 2010. We are all struggling to come to terms with this sad news. Ed was our friend, our colleague, our President. We remember him fondly – his steps will be hard to fill. The College is much stronger as a result of his dedication and service. I first met Ed over a decade ago at Holland & Hart—our mutual friend Merrilyn Astin Tarlton introduced us and he instantly started talking—about jazz, I recall. Ed wasn’t just a brilliant leader of a great law firm: he was a man of passionate interests and enthusiasms. We hit it off immediately. Through many College and Section meetings, we talked, collaborated and enjoyed Ed’s stories and his experiences. His time teaching in New Zealand in the Sixties, the tales of travel—at being stranded in Trastevere when Pope John Paul II died, the challenges of practice, the wayward joys of managing a law firm. Ed was a great teacher because he had so many great experiences to draw on. He knew how law firms worked from the inside; he had been a solo, a law teacher, an in-house counsel, a small firm partner and then managed one of the largest firms in the Rockies. At the ABA’s Annual Meeting a few years ago he talked knowledgeably about how to design a retirement scheme for lawyers that made sense from the lawyer’s and the firm’s perspective. How sad that he had so little time …. Ed was born in Austin, Minnesota, south of St. Paul’s on Boxing Day, 1942. He was a Harvard College graduate who took his law degree at the University of Chicago; while there, he developed an interest in poverty law, writing a significant paper for a Harvard journal on Rent Withholding, fiercely practical even at that young age. He was admitted to the Colorado Bar in 1967. After two years teaching commercial law at the University of Auckland, New Zealand, he returned to the foothills and joined a Denver firm as an associate. He moved south in the state to Colorado Springs in 1972 where he was the general counsel of a contractor, which built franchise restaurants in 30 states. In 1978 he branched out into a solo law practice. Three years later, he joined the law firm of Spurgeon Haney & Howbert, which merged with Holland & Hart in 1986. Thereafter his professional career was spent at Holland & Hart. Ed served as Managing Partner of the firm for five years. Though he retired in 2006 he didn’t slow down. He was the consummate retired partner and when H&H needed guidance in a major strategic planning process, Ed was there. He became fully engaged in the American Bar Association’s Law Practice Management Section. Within the Section he served as budget officer, a member of Council and a significant contributor to Law Practice magazine, as both an Editorial Board member and author. Ed’s articles were imbued with the wisdom of experience. Many of them concerned getting younger lawyers to understand how firms worked, though characteristically he didn’t mince words in entitling one piece Law firm accounting for dummies. He wrote with insight on how to handle staff, how to treat leaving lawyers with dignity, managing firms through economic roller coasters, and some of the wisest words on retirement as a transition. He became a Fellow of the College of Law Practice Management in Vancouver, British Columbia on September 23, 2005. He served as an enthusiastic and wise Trustee from 2007 onwards. He was our Treasurer from 2007 until he took over as President at the Annual Meeting in Chicago. It was Ed’s idea to link us back to a law school and to choose the University of Denver College of Law for a bold and adventurous Futures Conference. It was a fabulous success in every way. His dedicated work has established us solidly for the future. Ed died—typically—in the saddle, and after dinner with friends. He was in Chicago attending LPM Section Executive meetings held at the same time as TECHSHOW. We will miss him terribly, and extend our deepest sympathy to his wife, Karen, his daughters, Jennifer, Rebecca and Elizabeth, and grandchildren, Lucca and Mimi, and their families. Ed had such a good heart. I can’t even recall telling him I was a fan of Fred Couples, the golfer. But then, a few years back and out of the blue, Ed sent me a picture he had taken of Freddy during a practice round at the Masters. And he used to send me notes about St. Paul and St. Olaf College; he and his family had ties to Minnesota and he loved it here. I’ll always think of him so very fondly. I am trying to remember when I first met Ed..it sees like he has been a part of my life for so long. I hated to see the end of any meeting with Ed and eagerly looked forward to the next. Many others have written on Ed’s qualities and character. I echo all those thoughts and would add one further: over everything, Ed was a teacher. He was constantly giving of himself and showing us all how we could reach higher. And Better. And Deeper. I wanted to say thank you – somehow – for all those lessons. I know that Ed would not have wanted any payback for those lessons other than to say to go out and pay it forward. So the final lesson that you left us Ed, would be, I believe, to go forward and teach others as you have done. Your legacy is to have planted these ideas in everyone who came into contact with you. I count myself among the fortunate ones who had been able to have spent some great times with you. Thank you for everything Ed. I hope to put those lessons to good use in the years to come and seek to follow your example. I will greatly miss our talks and your friendship. I am sorry, and quite shocked, to hear about the passing of Ed Flitton. As you know, I have only been a Fellow of the College since last September, so I didn’t know Ed well. However, he was quite helpful to me as I learned about the College and the past annual meeting. He also was very insightful about the law practice management area, particularly with regard to our recent discussions over this year’s program. He will be missed by all of us who are active in the area of law practice management. Practice management and golf. Ed was more than that, but those were passions that we shared. Ed and I have been active members of the ABA Law Practice Management Section for some years, but I didn’t get a chance to get to know him until we shared a round of golf in Puerto Rico a few years back. True, guys can’t talk to anyone for four and a half hours, but put a golf club in their hand and the conversation can get deep, varied, and quite interesting. By the end of our round, I was in greater awe of Ed. His mastery of practice management was inspiring, but his steady calmness was equally apparent. So was his love of family. Not only was Ed a management leader, a financial guru, and strategic visionary, he was a delightful golf companion and a truly great guy. I was lucky to enjoy Ed’s friendship over the past few years, and although another round of golf eluded us, I saw him often at Section meetings, and most recently at the ABA TECHSHOW where we enjoyed a fun group dinner last Thursday night. Ed, thanks for all you shared. Thanks for your friendship. Thanks for all you gave to our profession. You will be missed. I first met Ed at an ABA LPM meeting in Miami. I had a tee time booked at Doral for the afternoon following our meeting. After hearing of my plans, Ed leaned over part way through the meeting and asked if I’d like a golf-buddy for the round. That’s how we met and it is amazing what you can learn about a person over 18 holes and 4 and ½ hours. One thing stands out. Like many golf courses Doral is developed with a wide range of large beautiful homes. Ed’s measure of the warmth of a house is by counting the number of places where you might curl up with a good book. I think of that often as I look at homes being built—some high on the warmth meter and some, not so much! Thanks Ed for this and many other pearls of wisdom. Strange as it may sound, my last meeting with Ed was very much like my first. Ed has always been a mentor ever since I first met him several years ago. He was a genuine gentleman – and I’m not the first to say that. He gave so much of himself unselfishly. I had lunch with Ed on Friday at the ABA TECHSHOW—one of those box lunches where you really only look at the sandwich and eat the chips and cookies. I was seeking Ed’s advice, as I had in the past, but this was about retirement—my own retirement. I’m leaving my current post at the University of Florida College of Law Legal Technology Institute at the end of June this year. I was asking Ed about the “transition” from going full steam to a more relaxed life style. As always, Ed gave that tremendous laugh and told me that while he had retired from the law firm, he hadn’t slowed down – he was still going full steam. He said that he wanted less stress in his life, and that was one of the main reasons that he retired from H&H. I think that even though he was busy as always, he was a very happy man. He talked loving of his family and grandkids; he managed to “sneak” in those topics even during business meetings. Ed suggested that I should take several months off and don’t worry about what the future holds—it will come knocking. Such sound advice from such an awesome friend. He also recommended I read a book, “Transitions,” which helps describe not only transitioning into retirement, but also through any major phase in your life—I intend to read it. Along with everyone else, I was totally taken aback when I heard that Ed had passed away in the middle of the night. I don’t think it’s sunk in yet, either. But, I know that Ed is in a much better place. He will be missed by so many friends, but I know we’ll all see Ed again. May God bless Ed Flitton. Rest in peace. I feel very lucky to have known Ed. He had that rare and wonderful knack for meeting a relative stranger and engaging them so that very quickly you felt you were an old friend. It’s an art, not a science, and Ed had fully mastered it. I will miss him, but he has left his mark, and his passing will spur me to emulate him. Stuart and I first got to know Ed and Karen Flitton when we had dinner with them during the College annual meeting in San Francisco in 2006. We were both struck by how warm, open, caring, they were. Subsequently, as a Fellow and Trustee, I had the chance to work with Ed on many occasions (and share a glass or two of wine). Ed’s dedication to his family, his firm, the College, were remarkable, as was his great combination of wisdom and common sense. In his short tenure, he was a true leader who put the College on an even better path. I will miss him personally and his sage hand guiding the College. I lost a friend on the weekend when Ed Flitton unexpectedly passed away. Ed was a true gentleman who was positive all the time and had contagious amounts of enthusiasm and energy. I met Ed through the ABA Law Practice Management Section and worked with him a lot over the past few years as we were both on the Law Practice Magazine Editorial Board. With his amazing knowledge of law firm finance and management issues, Ed made significant contributions to Law Practice. These included his “Taking the Lead: Advice for Managing Partners” column, and the feature articles he wrote for us from time to time. At our editorial meetings and brainstorming sessions, Ed also offered great input and wisdom when it came to the suggestions he made on the issues and topics we should cover and the knowledgeable people that could write for us on them. I also had the pleasure to work with Ed in helping to plan the Futures Conferences that the College of Law Practice Management put on last fall in Denver, and the one planned for this fall in Washington, DC. Few, if any, people I have ever met knew as much as Ed did about managing and running a law firm. He had amazing stories to tell about interesting law firm management and operational issues – and the appropriate solutions to them. He seemed to always have short pithy one-liners that offered great insights and advice to managing partners. Two I remember are: “Your people are your firm—never forget to stay in touch with them;” and “Never fire a problem staff person until you know who is going to fill the vacant chair.” I wish I had written down more of Ed’s comments. I enjoyed Ed’s company and conversation at many great breakfasts, lunches and dinners at LPM section events. And, while I never golfed with him (a true passion of his), we enjoyed the most hilarious jeep ride ever together with some other LPM friends at our meeting in Tucson. I was very lucky to have enjoyed a long chat with Ed in the Chair’s hospitality suite at ABA TECHSHOW last week. Ed, the LPM family will miss you. I will miss you. Thanks for all you shared with me. Thanks for all you did for us.